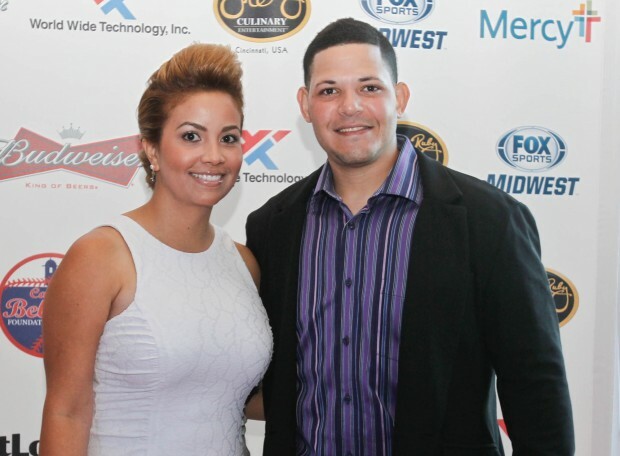 A Puerto Rican professional baseball player, Yadier Molina has made a name for himself in the Major League Baseball (MLB) where he plays for the St. Louis Cardinals as a catcher. Since starting out in the MLB in 2004, he has risen to become a very important player in the league marking many individual achievements as well as team laurels. Here is all to know about him. The baseball star was born Yadier Benjamin Molina on July 13, 1982, in Bayamón, Puerto Rico, and it was there that he was raised alongside his 2 elder brothers. He didn’t grow up in a family that was alien to baseball as his father had also played baseball even though he didn’t make it too far. He played as a second baseman and only ended as an amateur. Because of that, he made it a priority to teach and train his boys each day he came back from work. It was thanks to this that all the Molina boys, Yadier, Bengie, and José were able to make it to the Major league. Yadier attended Maestro Ladislao Martínez High School in the Puerto Rican municipality of Vega Alta. When he was done schooling here, he had his mind set on the MLB without necessarily heading to college. His journey to the MLB began with the success of his elder brothers who were already playing in the league. Thanks to that, there was already the passion in him to follow suit and play impressively as he has always been doing from high school, hence it was easy for Yadier Molina to get drafted by the St. Louis Cardinals as their pick in the fourth round. After Yadier was signed, he went on to play in the minor leagues until 2004 when he made his debut in the MLB for Cardinals. It is with the team that he would remain for many years to come. After his first deal in 2010, he would sign other deals in 2005, 2006, and 2007. His first major deal that would see him going above a million dollars was in 2008 when he was given a $15.5 million contract. His next contracts came in 2011, 2012, and 2017. Before going down due to an injury, Molina had already recorded a lot as far as his stats are concerned, viewing from 2004. He has appeared in 1799 games making 6281 At Bats, 621 Runs, and 1780 Hits. More so, he has made 342 doubles, 7 Triples, 137 home runs, 817 Runs Batted In, and 465 Walks. Also, the Cardinals man has recorded 687 Strikeouts and an average of .283. Of course, it is not impossible for a player in any sports to go without injuries, and Molina has also had his own fair share. Nonetheless, the most severe and recent was on May 5 in a game against the Cubs. On that day, he got an injury that would get him on the disabled list for as much as a month after a missed ball hit him on the groin, forcing him to even go in for a surgery for the traumatic hematoma that he suffered. After remaining on the deactivation list for a month, Yadier got activated by the team on June 5. 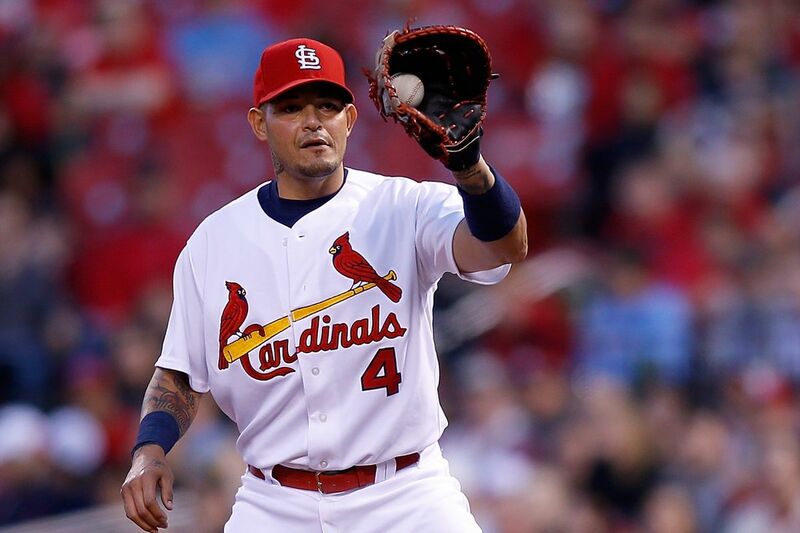 Looking at his career, Yadier Molina has made a lot of achievements including becoming a World Series champion twice, making the 8 All-Star teams thus far, winning the Gold Glove Award from 2008 to 2015, 4 Platinum Glove Award, and a Silver Sluggard Award. Molina has also played for Puerto Rico at the World Baseball Classic which the team ended with a silver in 2013 as well as 2017. In both years, he got to make the All-World Baseball Classic Team. In case you are wondering if the baseball player is a married man? Yes, he is married and the name of his wife is Wanda Torres. The two have been married since 2007. The interesting thing about the couple is that they met since the time they were both in high school. Their union has been blessed with two kids, Yanuell who was born in 2008 and Arianna, born in 2010. Yadier Molina has worked very hard through the years in the MLB and even before making it to the league. Thanks to that, he has come to make himself a great net worth. In 2017, he signed a contract extension with the St. Louis Cardinals that would have him with the team for the next three years. The contract which was worth $60 million, had it that he would receive a salary of $14 million in the first year, $20 million in 2018, and the same amount ($20 million) in the third year. With that pointed out, he has net himself a fortune that is worth $51 million. Yadier Molina has made his fortune in the MLB as well as some endorsement deals he has had over the years including with New Balance and T-Mobile. Yadier Molina and his brothers; Bengie Molina and José Molina have all won the World Series. In 2013, he was said to have started a music label. His label’s first album was an album of Venezuelan rapper, Oma 206. Following his $75 million contract that sees him receiving $20 million salary, he has become the second highest paid catcher in the history of the MLB only after Buster Posey.